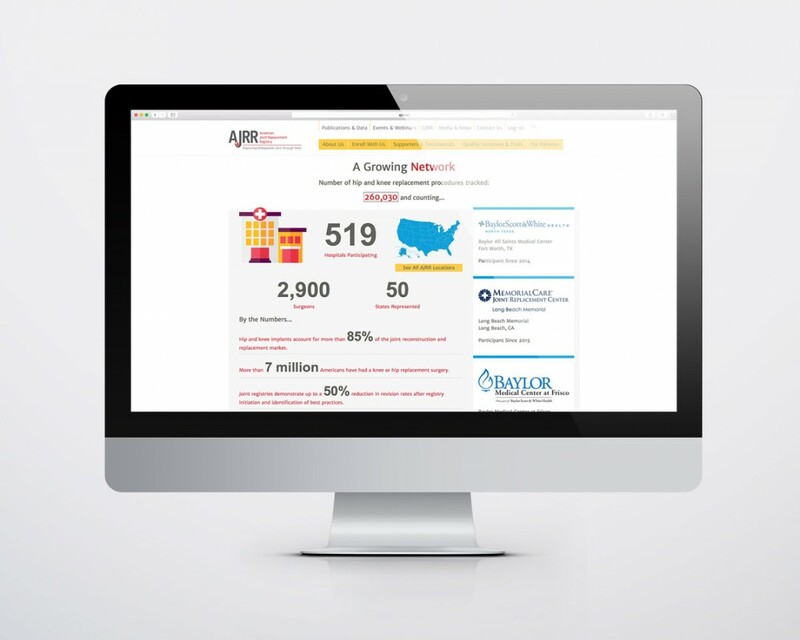 The American Joint Replacement Registry (AJRR) is dedicated to improving orthopaedic care through collecting, analyzing, and benchmarking data from across the entire United States. 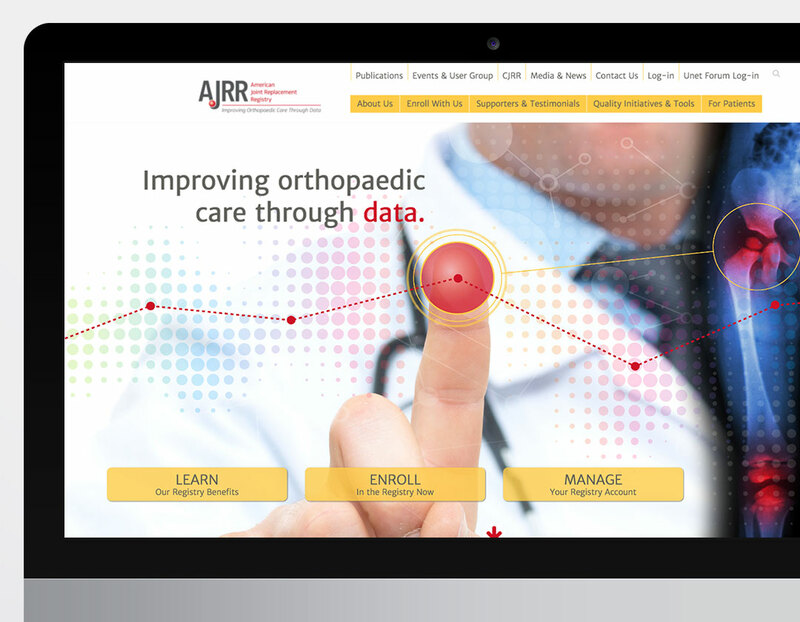 The registry brings quality improvement initiatives for total hip and knee replacements to hospitals, institutions, physicians, and the public. We designed the website and sequenced the messaging to tell the story of "what," "why" and "how" that worked equally well for visitors who already understood the value of the registry and those who needed more detailed explanation. 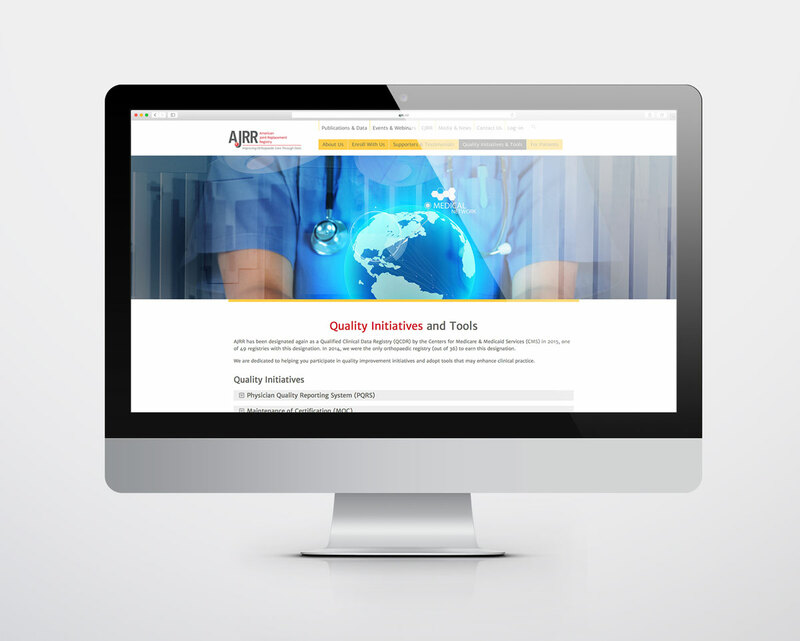 Large animated and static images anchor the main scrolling section pages and allow for smooth storytelling. Many interactive elements were incorporated to engage and guide the user. A well-thought-out sitemap and search feature put all content within easy reach: at your fingertips.